The broom is still in my closet. I’m not ready just yet. Today I begin to learn how to live without my mom. This isn’t going to be easy. She was a special, spunky person and we are all better for having known and loved her. 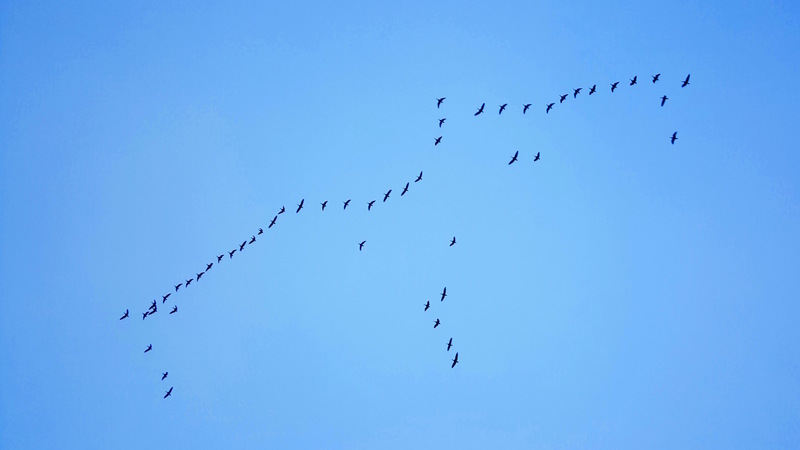 This morning, even the Canada geese were having problems getting in formation. This is day four of a week of nature photography.